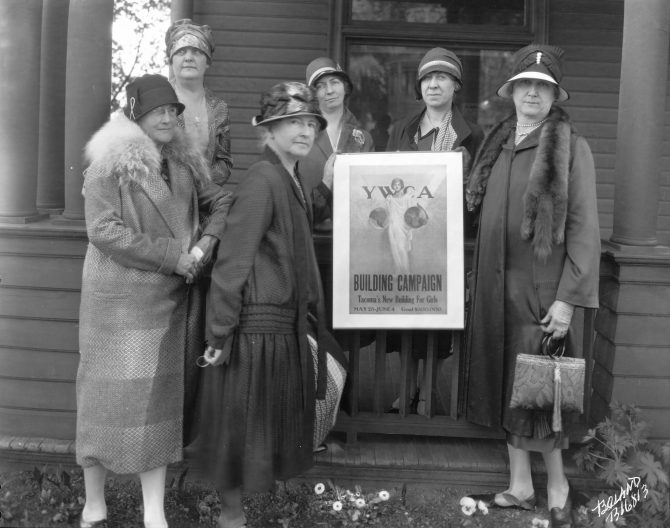 In May of 1927, the leaders in the Y.W.C.A. building campaign posed around a poster advertising the fund raising drive that would kick off on May 23rd. The women are, front row (l to r); Daisy (Mrs. A.R.) Warren, Mabelle (Mrs. F.A.) Leach, and Mrs. George G. Wagner. Back row (l to r); Nora (Mrs. J.G.) Parkhurst, Mrs. E.A. White, and Mabel (Mrs. Edgar F.) Dodds. In its 21 years of existence, the Y.W.C.A. had moved six times to progressively larger quarters. In 1927, a building campaign was proposed to raise $300,000 to build a new, larger structure and to pay off the mortgage on its current home, the Blackwell mansion at 401 Broadway. 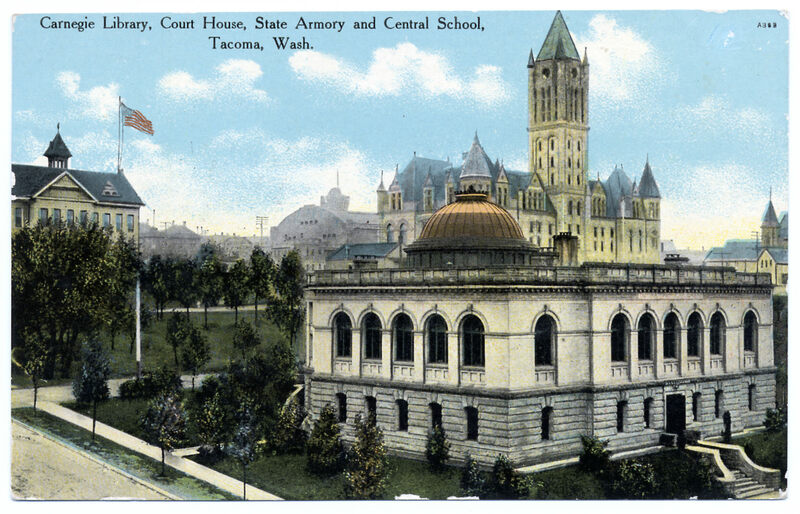 The mansion had been purchased by the organization in 1923 and would be connected with the new structure, which would house the first pool and gymnasium for girls in Tacoma. The new structure was built at 405 Broadway and dedicated in December of 1928. It still houses the YWCA.